Picture the perfect place to stay on a tropical island getaway and the image in your head might well match the photos above. 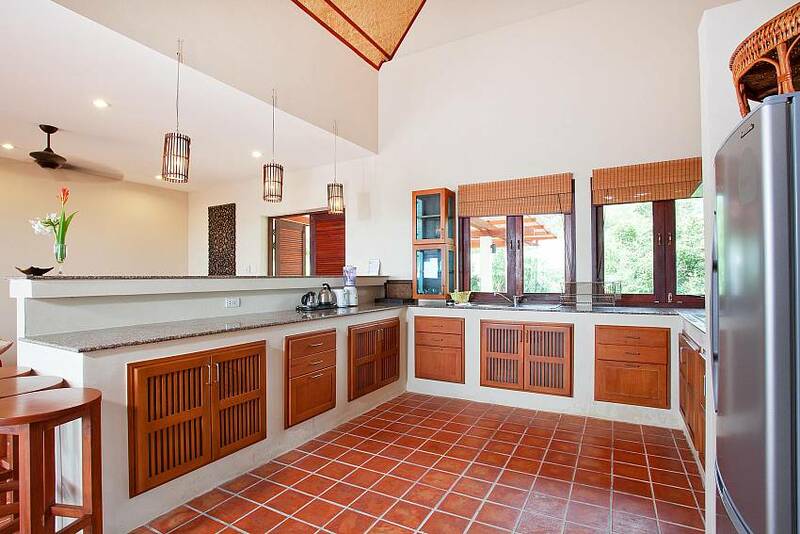 Comfort and cosiness are two words that come to mind when taking in the beauty of this villa. It really is out of this world. taking in the beauty of this villa. It really is out of this world. 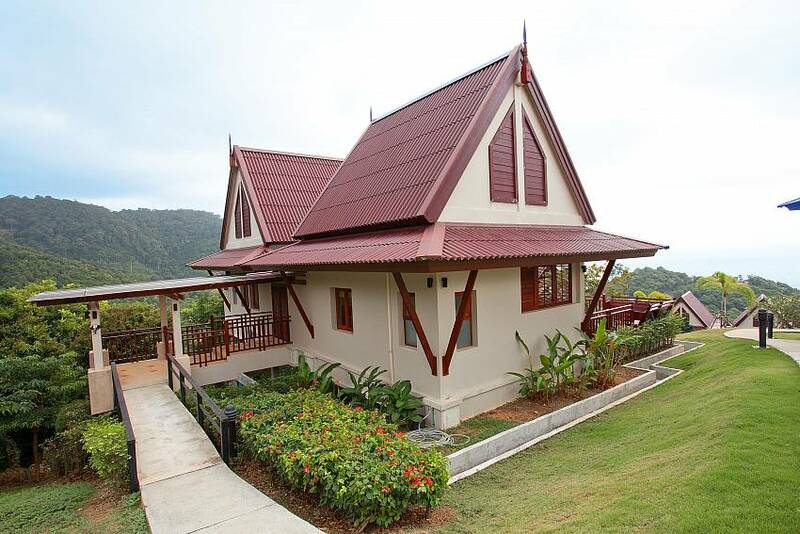 The architecture may be of a classic Thai-style, but don't worry, all the modern luxuries can be found within. 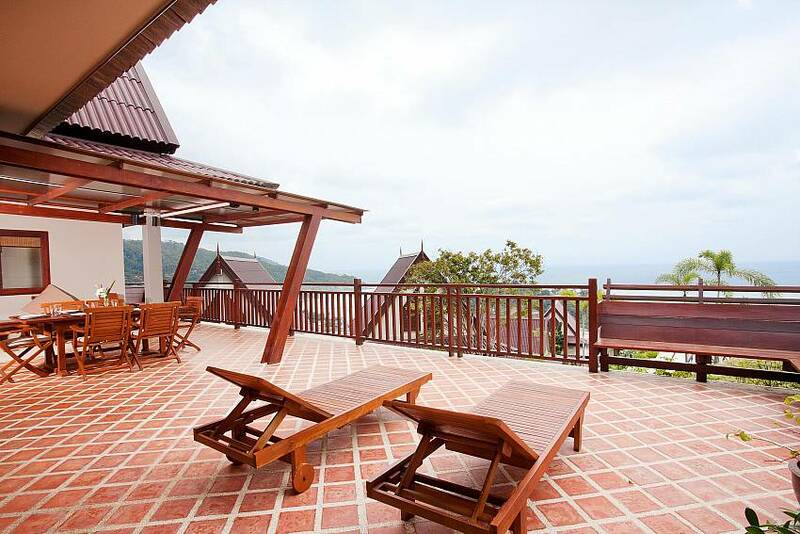 Not only is this villa an incredibly comfy place to stay, it also has amazing views from all areas. 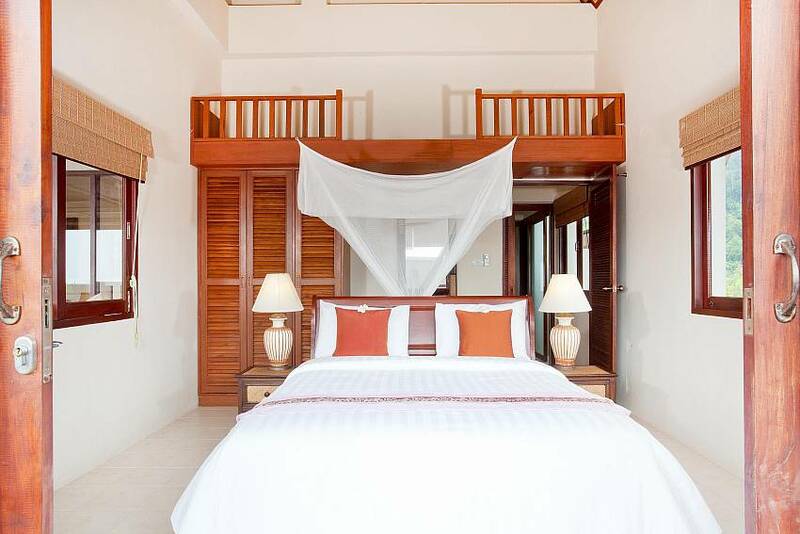 The Andaman Sea and Ba Kantiang Bay can be marveled at from both bedrooms, the living area, the kitchen and the dining terrace. To top it all off there is a sparkling swimming pool in the luscious tropical garden, with comfortable sun loungers and umbrellas all around. 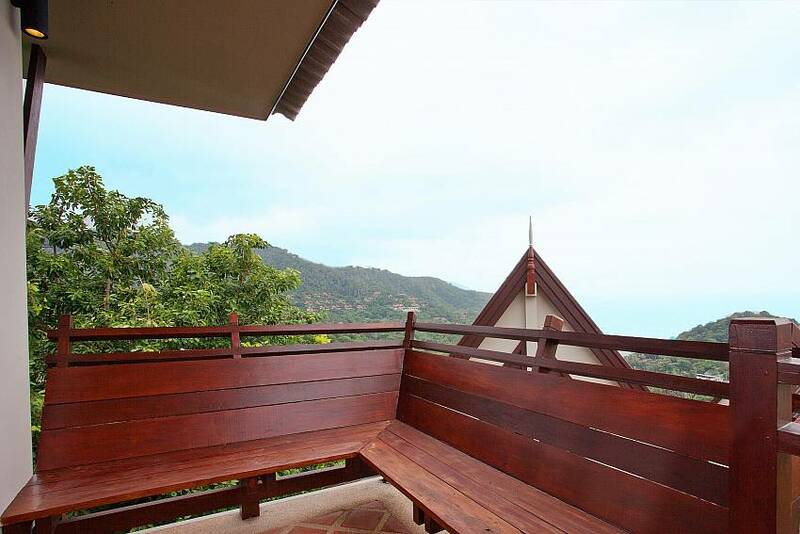 This area also has fantastic views of the sea and surrounding mountains. Everything you'll need is here. 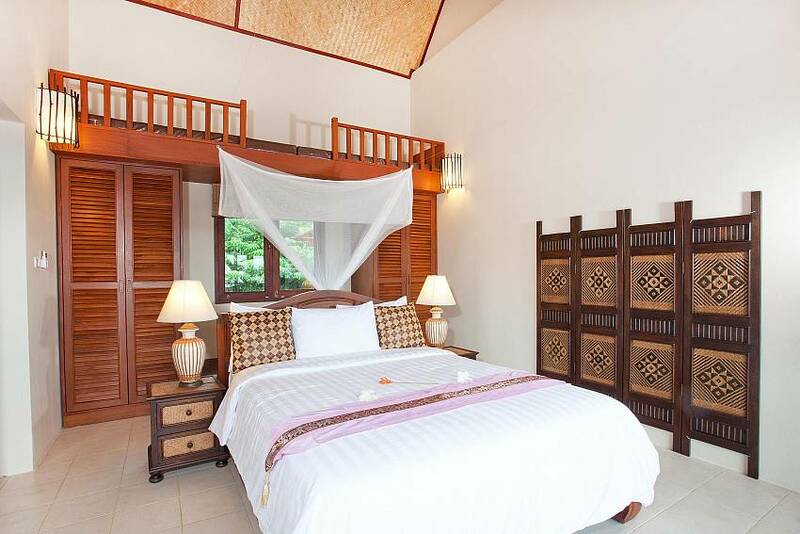 Set in a quiet location in the hills, this cozy villa is Just 600m from the white sandy beach of Ba Kantiang Bay. 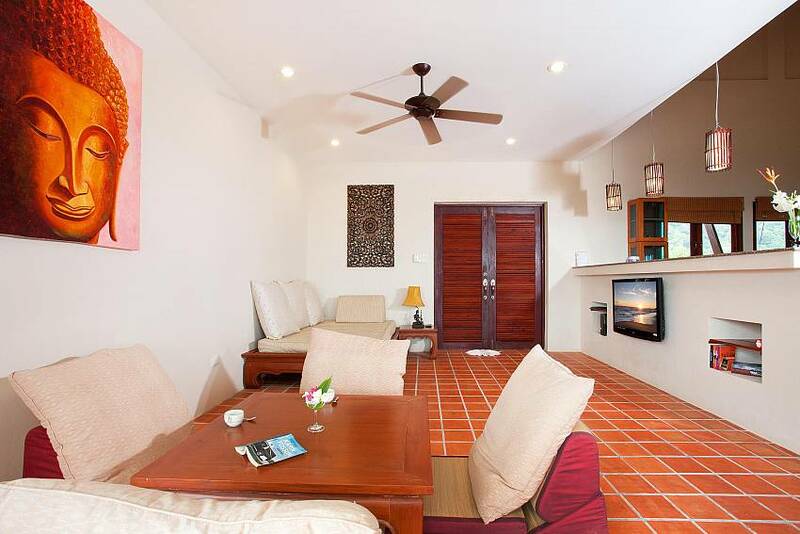 There are plenty of restaurants, bars and massage facilities in this area and a free beach shuttle goes back and forth from the villa, several times a day. 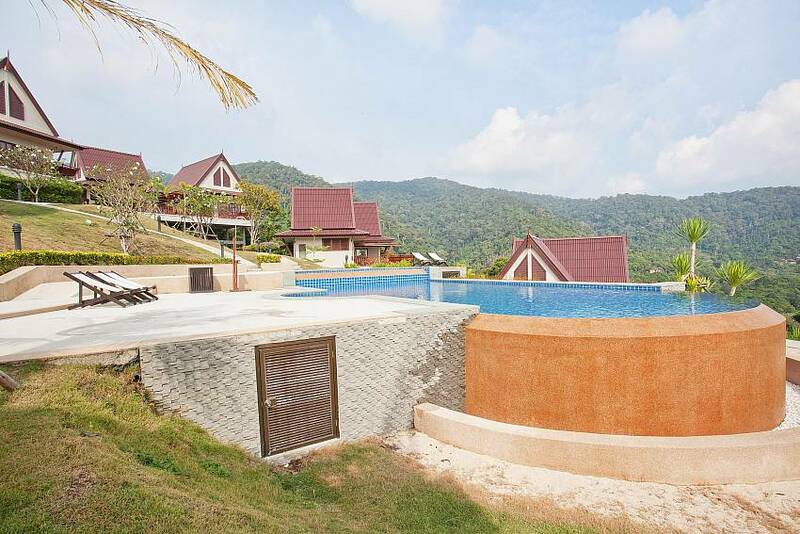 A nature trail with a waterfall and caves is only 3km away and if you travel a little further south you can go elephant trekking or visit the protected rainforest of Mu Koh Lanta National Park. The friendly staff members are always there to assist you. You can book a bus, plane and train tickets as well as day trips, all at the reception for no extra charge. 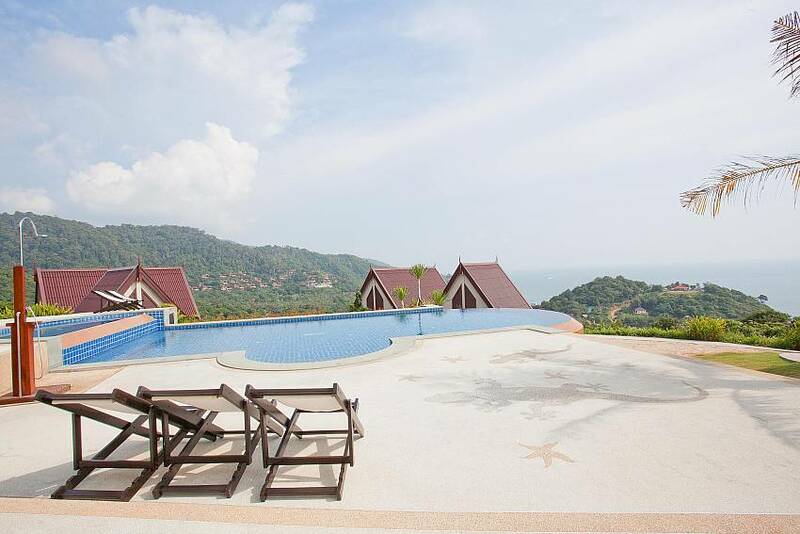 Browse our full listings of villas on Koh Lanta here. There are two bedrooms, both with double queen size beds that face the ocean, so you’ll always be greeted by the sea whenever you wake up. 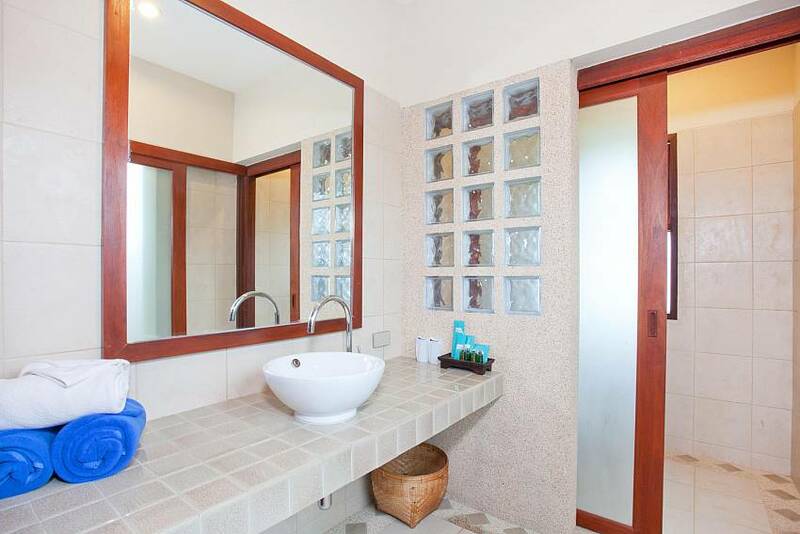 Each room also has an en suite bathroom and air conditioning. 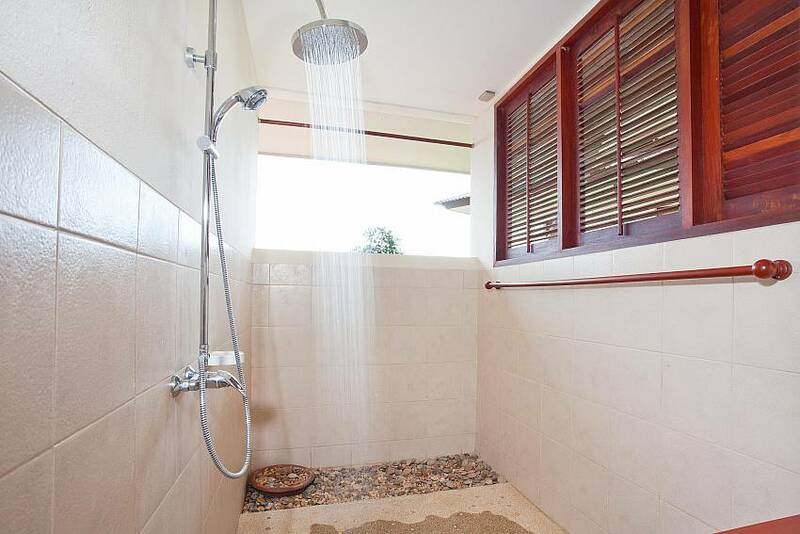 Both en suites are equipped with modern showering facilities. 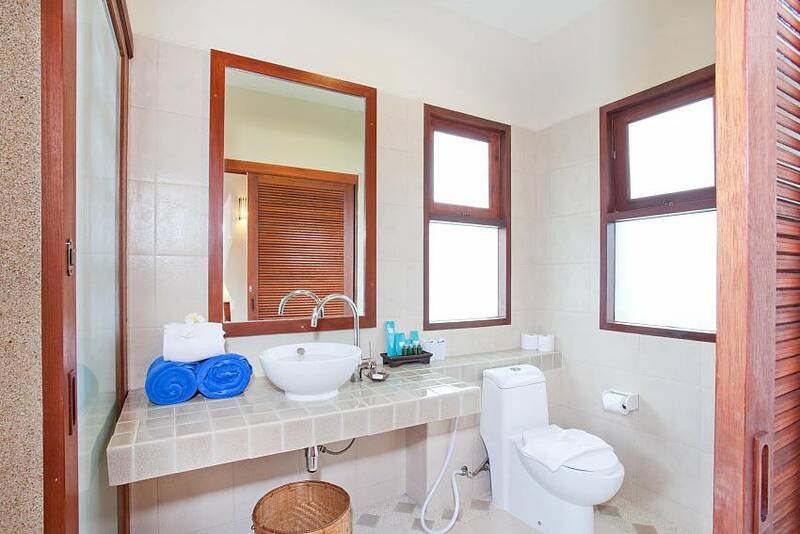 The shower rooms also have panoramic views, so you’ll be able to take in all the scenery while you bath. 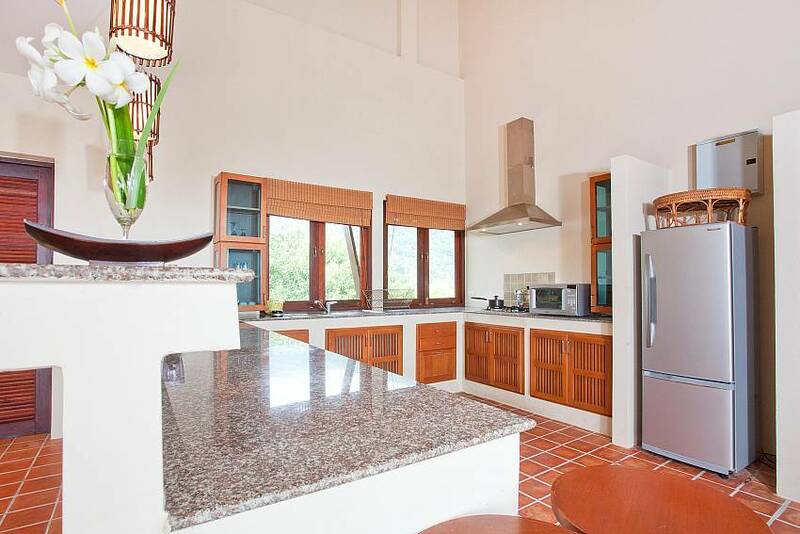 The modern conveniences in the kitchen include a fridge freezer, gas hob, oven and microwave. If you’d prefer to dine out, there are menus for all the finest restaurants in the area available, and the staff at reception will order and pick up all your meals. The great thing about the large flat screen TV in the lounge is that it not only allows you to take advantage of the DVD player and 50 cable channels, it also provides the internet. The state of the art stereo system also allows you to play music, so you can even throw a party. For any extra guests, there are two extra beds available in this area, so there’s plenty of room for everyone. 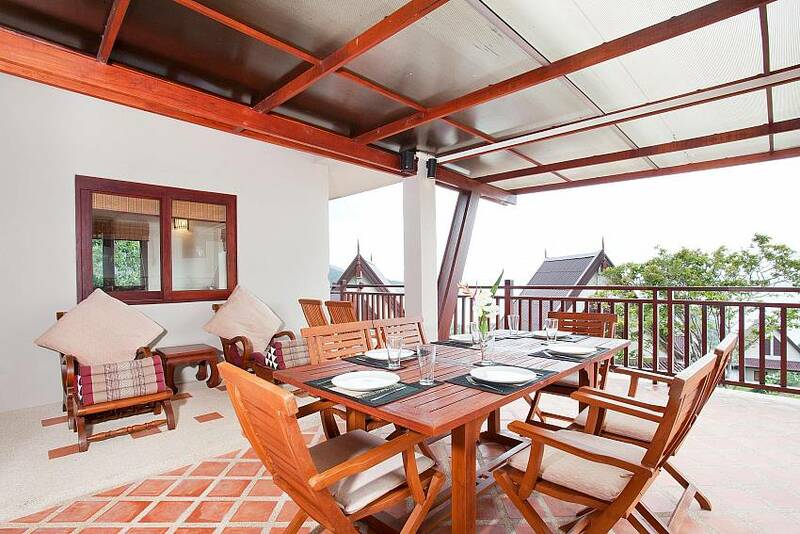 One of the highlights of this villa is the 78sqm sea view terrace, which is a fantastic area for dining al fresco. The dining table can seat up to 8 people and is great for taking in the beautiful tropical surroundings while you eat.